J.P. Morgan Chase was accused of using illegal debt collection tactics to pursue delinquent credit card borrowers. 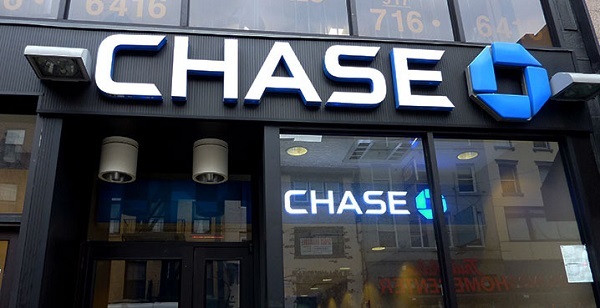 As part of an agreement with the Consumer Financial Protection Bureau and 47 states attorneys general, Chase will refund $50 million to consumers. Chase also agreed to permanently end collection activities on more than half a million accounts. Robo-signed court documents. Chase used robo-signed court documents to sue delinquent credit card borrowers. The problem with robo-signed documents is that they are signed in mass quantities without verifying the data in those accounts. “Chase filed more than 528,000 debt collections lawsuits against consumers and provided more than 150,000 sworn statements to debt buyers for their collections lawsuits against consumers, often using robo-signed documents. In doing so, Chase systematically failed to prepare, review, and execute truthful statements as required by law,” the CFPB said. In California alone, Chase filed 100,000 debt collection cases with shoddy legal documents, jamming California courtrooms. Chase collected on Zombie Debts. Chase was accused of collecting on debts where the statute of limitations had passed and the debts were too old. They were also accused of collecting on debts that had already been settled and even debts that were owed by deceased borrowers. Sold debts to debt buyers using inaccurate information. Debt collectors purchased debts from Chase that included court judgments that were unlawfully obtained, debts that had been discharged in bankruptcy, credit card balances that were inaccurate and accounts that had been paid in full. Third-party debt collectors were sold inaccurate information. Under the terms of the agreement. JPMorgan Chase will refund $50 million to consumers who were sued between Jan. 1, 2009, and June 30, 2014, for amounts paid above what the consumer owed when the debt was referred for litigation, plus 25% of the excess amount paid. Chase will also pay $136 million in fines to the bureau, 47 states and the District of Columbia. The bank will permanently stop collecting on 528,000 accounts. It also will pay a separate $30 million penalty to the Office of the Comptroller of the Currency. New rules for Chase in collecting delinquent debts. The settlement included new rules on how Chase can attempt to collect debts. Prior to selling debts, Chase must provide account-level documentation to debt buyers confirming that the debts are accurate and enforceable. Hopefully the new rules for Chase will carry-over to and serve as an example for all banks and debt collectors. The offers that appear on Rebuildcreditscores.com's website are from companies from which rebuildcreditscores.com receives compensation. This compensation may influence the selection, appearance, and order of appearance of the offers listed on the website. However, this compensation also facilitates the provision by rebuildcreditscores.com of certain services to you at no charge. The website does not include all financial institutions or all of their available product and service offerings. Our Policies: The content and information including responses to reader questions contained on Rebuildcreditscores.com is for educational purposes only and is not legal advice. You should consult your own attorney or seek specific advice from a legal professional regarding your particular situation. Our content and materials are provided to you “as is,” without any guarantees. Disclaimer: Rebuildcreditscores.com strives to keep its information accurate and up to date. This information may be different than what you see when you visit a financial institution, service provider or specific product’s site. All financial products, shopping products and services are presented without warranty. When evaluating offers, please review the financial institution’s Terms and Conditions. Any and all loan information is presented without warranty. If approved, your actual APR will depend on factors like credit score, requested loan amount, loan term, and credit history. Only borrowers with excellent credit will qualify for the lowest rate. All loans are subject to credit review and approval. Advertiser Disclosure: The offers that appear on RebuildCreditScores.com’s website are from companies from which RebuildCreditScores.com receives compensation. This compensation may influence the selection, appearance, and order of appearance of the offers listed on the website. However, this compensation also facilitates the provision by RebuildCreditScores.com of certain services to you at no charge. The website does not include all financial services companies or all of their available product and service offerings. © 2007-2019 RebuildCreditScores.com | All Rights Reserved.